Alice Springs is known for wildlife, museums, historic sites, nature, and parks. 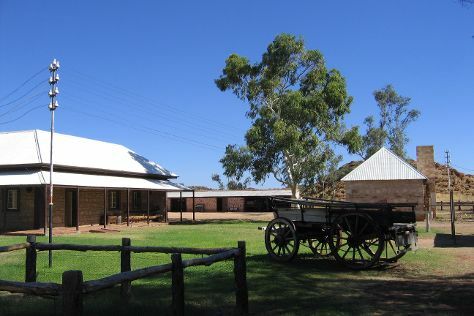 Your plan includes some of its best attractions: contemplate the long history of Alice Springs Telegraph Station Historical Reserve, take your sightseeing to a higher altitude at Mount Gillen, identify plant and animal life at Alice Springs Desert Park, and relax in the rural setting at Camels Australia. For more things to do, traveler tips, and tourist information, use the Alice Springs visit app . In April, daily temperatures in Alice Springs can reach 34°C, while at night they dip to 15°C. Wrap up your sightseeing on the 22nd (Mon) early enough to travel back home. On the 23rd (Tue), take in the spiritual surroundings of Kings Creek Station and then explore the stunning scenery at Kings Canyon Walk. For maps, photos, reviews, and other tourist information, refer to the Kings Canyon trip builder site . Traveling by car from Alice Springs to Kings Canyon takes 6 hours. Finish your sightseeing early on the 23rd (Tue) to allow enough time to travel to Uluru-Kata Tjuta National Park. On the 24th (Wed), tour the pleasant surroundings at Uluru Hiking Path, then explore the striking landscape at Uluru, then contemplate the waterfront views at Mutitjulu Waterhole, and finally trek along Kuniya Walk. Keep things going the next day: get outside with Walpa Gorge, then take in the awesome beauty at Kata Tjuta, and then get engrossed in the history at Uluru-Kata Tjuta Cultural Centre. 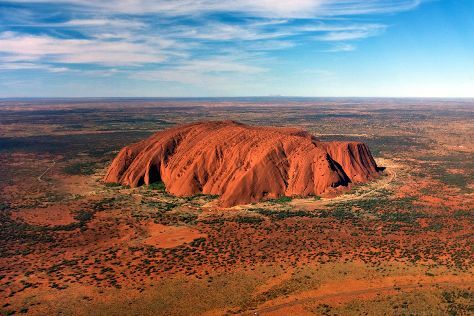 To find where to stay, ratings, traveler tips, and more tourist information, go to the Uluru-Kata Tjuta National Park trip planner . Traveling by car from Kings Canyon to Uluru-Kata Tjuta National Park takes 4 hours. In April in Uluru-Kata Tjuta National Park, expect temperatures between 34°C during the day and 17°C at night. Finish up your sightseeing early on the 25th (Thu) so you can travel back home.